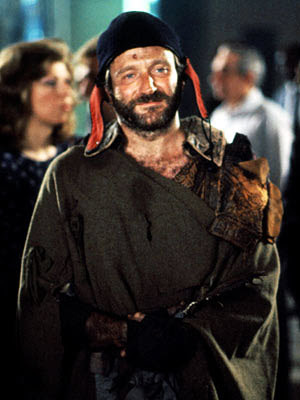 I can’t help but think over and over of my favorite movie, The Fisher King, right now. It is the story of shock jock radio host, Jack, played by Jeff Bridges, who gives violent advice during his show to an unstable man that results in a massive shooting. It’s an exceptional and, at times, heartbreaking tale of Jack’s desperate search for forgiveness. The tale is a warning from 1991 on the power of words, a medium that we, as social media professionals and gurus, use every single day. And the Tucson massacre that took the lives of six including a federal judge and a nine-year-old girl and has an Arizona congresswoman in our thoughts and prayers for a speedy recovery serves as a modern real-world reflection of the events that precipitate the film. Yes, the man that held the gun was mentally-ill by all accounts, but it is not only the mentally-ill that are susceptible to the culture around them, a culture formed by the words used. Especially today, in a world where we all have a voice, an opportunity to be shock jock social media hosts, have a tremendous responsibility for our words. Look at the results of social media fanning the flames of the San Francisco riots after the Giants won the World Series this year. The mainstream media barely covered the riots, and yet they were all over Twitter, Foursquare, Flickr, and other platforms. How much worse did all those shock jocks make the violence by making it culturally accepted through the instant glorification of the riots via hashtags and pictures? At that point the so-called riots had already produced almost a dozen YouTube videos from the streets of San Francisco, the SFPD police radio channel was being broadcast for anyone to hear via UStream (which also had a Twitter hashtag, #sfscanner), and a Google Map called Project Epic had sprung up from the University of Colorado at Boulder based on tweets and Twitpics throughout the City by the Bay. No one is, nor should, advocate taking away anyone’s rights of free speech. Indeed, on the internet, it would be foolhardy to try. But it is a call for personal responsibility, to consider what your words inspire. I, personally, am ever hopeful that I inspire for the better. If my words matter on some scale, let them bring hope to the people they touch. Let them inspire success and joy, not hate. Before I launch a social media campaign of any kind, I need to remember Representative Gabby Giffords and Jack from The Fisher King, and I need to use my words carefully. I pledge today that I shall work endlessly to make my words matter for the better and that as a writer, an artist, and a member of the social media culture, I shall always attempt to use my powerful words to making this world a tiny bit better so that with you, my co-conspirators of culture, I leave behind the world in a little better shape than I found it in.